Roke Na Ruke Naina this is a best Love HD Video Song From Upcoming Bollywood Movie Badrinath Ki Dulhania. This is an emotional and slow song moments between Badri and his Dulhania. Badrinath Ki Dulhania is a romantic and comedy bollywood movie. This video song is sung by Arjit Singh and also music compose by Amaal Mallik and the lyrics penned down by Kumaar. This movie is directed by Shashank Khaitan Under the banner of Dharma Production and Produced by Hiroo Yash Johar, Karan Johar, Apoorva Mehta. This movie is starring Varun Dhawan and Alia Bhatt in the lead role in this movie. 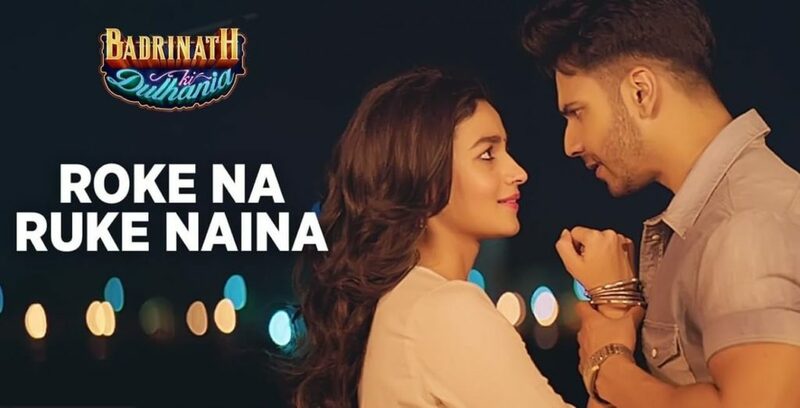 This movie already Four Video Song Release i.e First Video Song is Badri Ki Dulhania Title Track Full HD Video Song, Second Video Song is Tamma Tamma Again Full 720p and 1080p HD Video Song, Third Video Song is Humsafar Full HD Video Song and also Four Video Song is Aashiq Surrender Hua Full HD Video Song. Badrinath Ki Dulhania movie is slated to release on 10 March 2017.